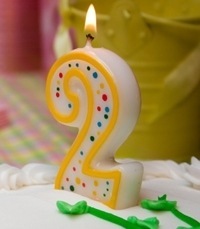 I noticed that it has been exactly 2 years ago today that my blog went to air. Happy birthday! And another milestone occurred at September 1st when Beerkens’ Blog welcomed its 100,000th visitor. Thanks for your many outstanding posts. I’m a great fan. May your blog live happily and prosper way past this milestone. DR.WU ??? + ???????? @ ???????? ???????????? PIXstyleMe	DR.WU ??? laura mercier ???? ???????????????? laura mercier ????,??,??????? ??????????????DORETTA?? ?????Hold???????????Hold??????????Hold??? @ ???????? ???????????? PIXstyleMe	??????????????DORETTA?? ?????Hold???????????Hold??????????Hold?? ?